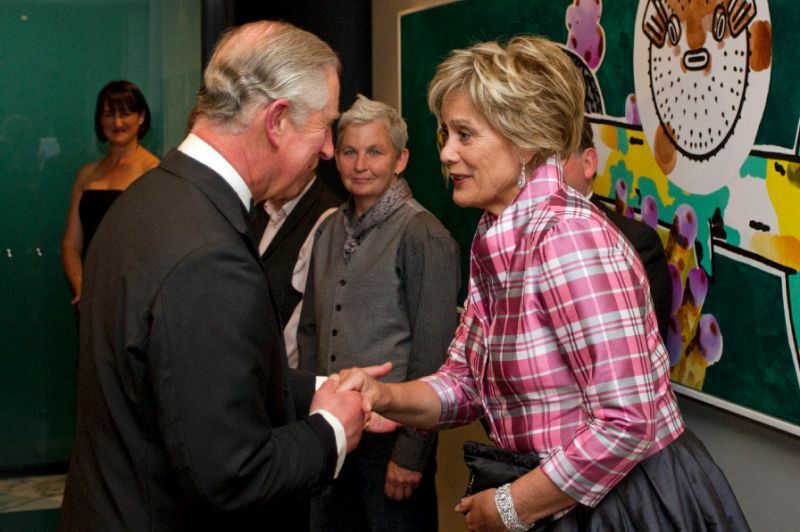 Britains's Prince Charles meets Dame Kiri Te Kanawa at a reception in Auckland in 2012. Wellington - New Zealand opera singer Dame Kiri Te Kanawa, hailed as one of the greatest sopranos of the modern age, officially announced her retirement Wednesday at the age of 73. Te Kanawa has not performed publicly for about a year but told the BBC she did not intend to perform in front of an audience again. "I don't want to hear my voice, it is in the past," she told the British broadcaster. "When I'm teaching young singers and hearing beautiful young fresh voices, I don't want to put my voice next to theirs." Te Kanawa's career spanned more than five decades and included performances at the world's top opera houses, although she is best known as the diva who sang at Prince Charles and Lady Diana's wedding in 1981. "I've had such an amazing career," she said, adding that it had taken her five years "to say the goodbye in my own mind". Her big break came in 1971 at Covent Garden when she was cast as the Countess Almaviva in Mozart's "The Marriage of Figaro". She soon found herself among opera's elite, sharing the stage with the likes of Jose Carreras and Placido Domingo. She became a household name when performing a Handel aria at the royal wedding, watched by a global television audience of more than 600 million. "It got me a lot of recognition," she later said. "But it was only a wedding and my job was doing opera at the time, so I wasnât into weddings. I just happened to sing at a very important one." Te Kanawa was also invited to perform at Diana's funeral in 1997, but declined as she was too upset over the princess' death. She was made a dame in 1982 and the British recording industry gave her a lifetime achievement award in 2010, calling her "one of the most loved sopranos of the past century". She stopped performing the most demanding of her signature opera roles in 2004 and, while still making concert appearances, concentrated on a foundation to encourage young New Zealand opera singers and musicians. Te Kanawa won over a new generation of fans when she made a guest appearance on the television show "Downton Abbey" in 2013 playing Australia's Dame Nellie Melba. New Zealand opera singer Dame Kiri Te Kanawa, hailed as one of the greatest sopranos of the modern age, officially announced her retirement Wednesday at the age of 73.